KYOS is pioneering the concept of Document Data Management; the idea that forms and documents are just temporary data containers and that freeing the data from the page results in huge gains in informational efficiencies and effectiveness. To see how KYOS performs Document Data Management, click here. Achieving informational efficiency is challenging when data resides on paper, PDFs, and electronic systems. To see how KYOS helps you function better in a hybrid world, click here. Success depends on Strategy, Scanning, Storage, Search, and Sharing. To see how KYOS helps you master the 5 S’s and delivers Successful Solutions, click here. With ever increasing requirements for distributed on-demand information, it makes sense to scan your forms and documents. Multiple people in multiple workflows need access to information that resides on the page. So it makes sense to scan once and use many times. But how about scan once, use many times, in many ways? KYOS understands that managing documents is important, but their real value is in the data they contain. And the value of any management system lies in its ability to deliver that data. After all, effective workflow is powered by getting and using the right data at the right place at the right time in the right context. KYOS Systems Services allows you to concentrate on your core operations while leaving the paper data extraction to us. We are consistently optimizing our proprietary extraction software and processes, which means we can achieve very high accuracies and throughput. Your data is always contained within our computer systems at KYOS. Security is paramount at KYOS and we never off-shore any part of our processes. 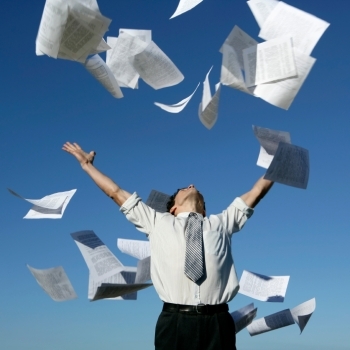 Optimizing form and document data dependent workflows is what we do with our technology. We help you build an intelligent archive and archiving strategy; from scanning to storage to search, to sharing, KYOS provides the solution. Whether we bring in our partners who are experts in helping you outsource your scanning, or we help you to build and optimize internal efforts, KYOS provides award winning technology and expertise to maximize the value of your investment in scanning. Contact us to find our how we can lower your costs and make your information easier to manage.